Ordinarily, us Londoners spend way too much time waiting for a train, sitting on a train or filling out delay repay forms for cancelled trains, but a gin train? Now that's something we can get on board with - literally. And there's more. This is no ordinary train, it's a train that allows you to travel the world all while sitting back with your favourite gin-based tipple. How? We're not bothered about being inquisitive on this one, just hand us the tickets already. We've had gin cruises and gin festivals but thus far there's been no sign of around the world gin transportation, until now. There's officially a gin train pulling straight into London and you'll be glad to know it bears no resemblance to the rickety Thameslink we love to hate. The Laverstone Express takes its passengers on an immersive journey through 10 different stops across the globe - so yeah, you won't physically be travelling the world but you sure will feel like you are. At each step of the 10-stop journey, you'll experience the tastes, sounds and sights of the likes of Java, Ghana and Tuscany, all while sipping on Bombay Sapphire gin cocktails. Well that puts our sorry bag of Southern Railway gins in tins to shame doesn't it. Each of the journeys explores one of the ten different botanicals present in Bombay Sapphire and, to ensure your stomachs are lined effectively, they'll be serving up specially created dishes by michelin star chef Tom Sellers, too. When can we get an annual season ticket already? 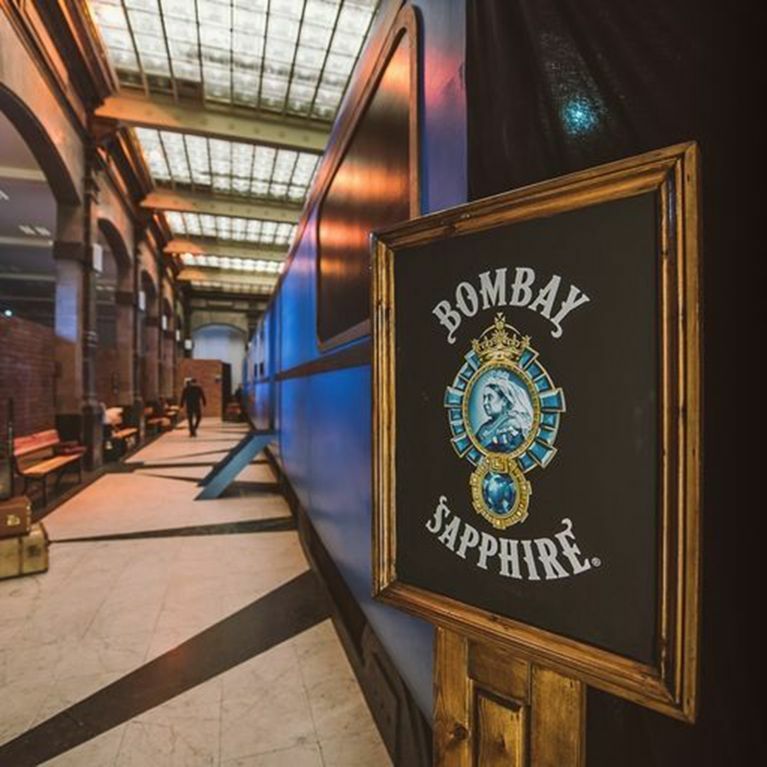 Tom, who set up his first eatery Restaurant Story when he was just 26, told Cosmo: "When Bombay Sapphire approached me to be part of this year's The Grand Journey, I was excited by the concept and by the challenge. The food I create at Restaurant Story celebrates individual stories, be it from memory, history or literature. "We wanted to translate that philosophy to The Grand Journey and create intelligent dishes that not only tell the story of Bombay Sapphire's gin of ten journeys, but also enhance the flavours of the botanicals to work in harmony with the accompanying cocktails. If you fancy the train ride of your life (and your tastebuds) then you might want to move quickly on this one as the gin train is only in town for a limited time only. It'll be running from 17- 23 July and tickets cost £30. You can find out more here.